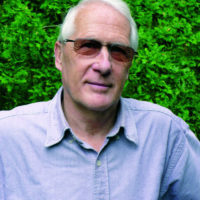 David has enjoyed the mountains of Britain all his life, walking and climbing in Wales, Scotland and the Lake District. He has also trekked and climbed in Nepal, Pakistan, Tibet, Ladakh, New Zealand, Ecuador and Patagonia. He was head of a university unit of forensic dentistry, working here and abroad. He is now Emeritus Professor in the subject and in 2003 was appointed OBE for his work.